How to Apply for NSFAS Online - Handy tips to help the process along. 3. Print the consent form and fill it out. Parents/guardians in your house must sign. 4. Make a copy of you ID and the ID of your parent(s) and guardians(s) living with you. 5. Get a recent pay advice letter or salary slip or pension advice letter for each parent or guardian living with you. SASSA is not required and is not counted as income. If your parent(s) or guardian(s) are unemployed, you do not need to provide any income information. 7. You are now ready to apply online. 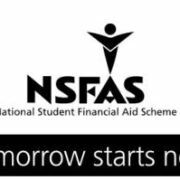 Go to www.nsfas.org.za Do not apply via paper application. NSFAS has a limited budget. They do get more applications than they can fund. They process online applications before paper applications. 8. You will need to register. Make sure you write down the username and password you use so that you can check your status later. 11. Once you are registered you can just follow the instructions on the NSFAS page. Sometimes it takes a while for NSFAS to process your registration so you might need to come back another day. Sometimes the website doesn’t work. 12. You need to be patient. 🙂 Breath in, breath out. If it doesn’t work one day, try again another day. Applications are open from September – November online at the NSFAS website or through your NYDA office. NSFAS also has a second semester application period for TVET Colleges only, apply through your college. Go to your nearest NYDA office for help. If you are applying for a TVET College, you can also get assistance there. Want to know more about NSFAS applications? Read this blog. 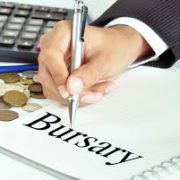 I will like to apply bursary. If you need help go to your nearest NYDA office. If you plan to study at TVET college you can also get help there. Hi Kath, I have applied for NSFAS and when I checked my application status it says awaiting evaluation. What does this mean? Nsfas fund me this year bt i did not proceed registrations because i was qualify for second option now am upgrading so can i still apply for it to help me after upgrading ? Hi Kath I applied for nsfas I got reference number so now what else I can do must I wait a response from nsfas or ? I want to know if you withdraw online nsfas application by mistake will you be able to apply again and be considered. Can bursary fund me when am doibg extended program to become engineer at university? And can i apply now for extended programe? If i upgrade will i still got chance of doing degree in engineering ? hi kath I passed my matric with higher certificate so Does Nsfas fund Higher certificate pass? Hey my name is Lindiwe from pta I wanna be a pilot I have grade 11 so is it possible to get a bursary fund with grade 11?? I GOT THIS MESSAGE( Your application could not be processed due to missing Certified Applicant Identity document. Please submit the missing documentation online within 2 working days. Please note that failure to submit within the set time may result in your application being rejected. So I wanted to ask that if I register again in August will it give me problems again? Hy there i want to study IT ,what are requirements if my parents are dead i dont have anyone. And how long does it take to be answered. When is nsfas opening for 2019 applications ?? And is it safe to apply online ?? 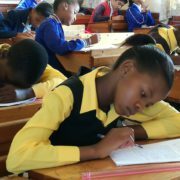 hi,im lerato i passed matric last year with diploma and i dont have parents i want to study mechanical engineering,i want to apply for nsfas how do i do it? I need to apply for nsfas. I failed to apply last year a lot of things in my head and the application was not easy. I will like to ask if I may download an nsfas application form, complete it, scan it and send it to the nsfas email. If that can be possible I will like you to give me the exact email to send my application to. Ive applied in 2016 firstly for 2017 and ive been taken by nsfas (provisionally funded) and the next thing i wasn’t given my allowances by nsfas and i called them and they said i should wait for my Laf form and i keep on calling them until the year end ,and sadly it ddint come to my mind that i should apply for nsfas for 2018 because i was already taken ,and i called them at the beginning of 2018 during registration time to check my status and they said my account have been closed because i ddnt sign that form and my funds have been taken back by nsfas and there’s no way i could get nsfas because it was already closed for applications. So i want to know who’s fault it is and what should i do? Hy application for 2019 opens in September? Hi there. I would want to apply for a bursary to study architectural technology at Tswane University of Technology. I still live with my parents but they are not going to pay for my studies even though their salary is more than R350 000 annually. I am currently working at an architecture firm and would like to fill in my own details and salary for the bursary seeing that my salary is less than 350 000 annually. Will this be possible? Hi. I made a mistake and applied as a postgraduate. I wanted to apply for 2019, how do i delete my profile. When are the applications for 2019 opening? I am a second year student and I currently have no funding. I been applying but been denied funding 3 times yet I am a deserving student. If my application for 2019 becomes approved, will nsfas settle my 2018 debt?? Hi, I have been funded for the past two years and last year I failed a module. When I wanted to apply they said those that were funded in 2017 need not apply again for 2018 because we would be automatically funded. I haven’t received funds or a form to sign, what should I do? Really appreciate what u doing do us here. My application got rejected (50% progression requirement not met) and I’d like to appeal but I have never consulted a professional about the distresses I’ve had. How could one possibly appeal successfully? Hi, I am a first year student at UNISA and work to pay my rent and studies etc, I no don’t live with my parents as I don’t have any legal parents or guardians, I rent by someone and I am struggling financially, will I be able to apply for a nsfas study loan for funding for 2019, and will I then still need a consent form etc from “parents”. Please kindly assist. 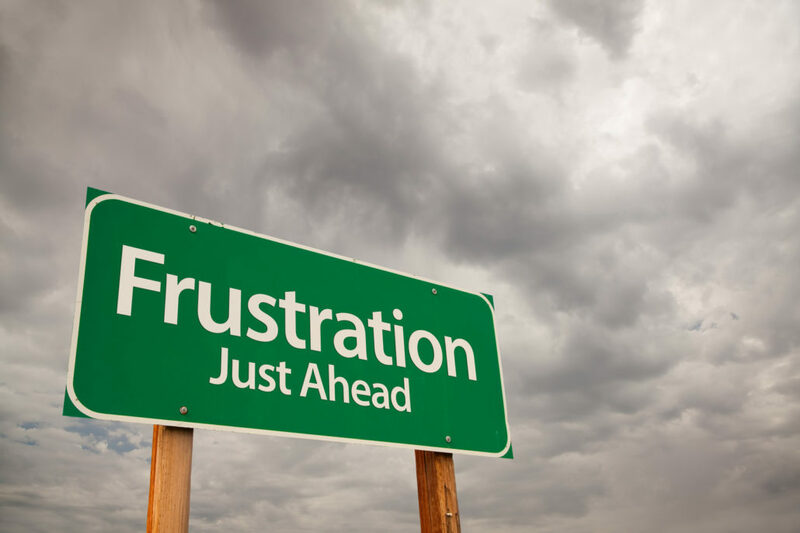 When will online applications for NSFAS be openen for 2019? Hey Kath….mom is blacklised and unemployed so is it safe to apply?again does it fund accommodation and transport aswell for TVET college learners? Hi my name is Mabotle, I applied for nsfas last year January on the 16th of june this year, I received a call saying that I should sign the laf, but my application is not found, I keep getting one time pins which I did not request, today I received a message saying that my contact details have been changed. I’m asking if it possible to have one more bursary while being funded by NSFAS, will it continue funding you or it will eventually withdraw? Hi I am Aneswa, I’m doing my grade 12 this year. How can I apply for nsfas and nsfas will be open when? Please contact me via email because I can’t remember how I got to this page. Hi kath iwant to apply for nsfas.im the only one who is working at home, m staying with my aunt and her children my mother passed away 2006.when i apply does my aunt have to write the affidavit that shes not wprking shz getting the grant for the kids? Should I apply again even if I got a reference number last year ? Yes, you need to apply again. HELP Hi my parent’s died i have no one and i don’t have pay slip can i apply for nsfas without using pay slip only using death certificate?????????? Hi do I have to sign a concern form if I dnt have parents/guadien ? Hi when to apply for nsfas for next year 2019? Hi’ am Thereso i was successfully funded by nsfas and completed my tvet qualification in 2017 june, so i took a gap year now 2018, i will like to further my studies with university, so is it necessary for me to apply as i was previously funded or i must apply because of a gap year? I applied for nsfas..i send all the documents and they send me an sms that my application was successfully submitted about 6 days ago.Today they send me an sms that my consent form and id copy are missing..how come after i got sms that application was successful. Tried applying online but when I touch “submit” to send my application, nothing happens. Please help. I applied for funding for 2019 but used the 2018 consent form..i wanna ask if this might affect my application ,if yes can i withdraw my application and reapply? I finished matric and already been accepted at university..
Hi.I downloaded the consent form nd my mother signed it so the problem is that I have my father’s details but I don’t have his Id copy.So I don’t know if I should enter his details even if I don’t have his ID copy. hi.im nonjabulo.i’ve already applied for nsfas by 04 october 2018 so i want to know when nsfas start to communicate with me. Hie I’m Nompumelelo Buthelezi doing the first year in teaching at Unisa. I previously applied for nsfas last year during the application period but I haven’t received anything from nsfas what can I do? Can I make second application? Hy I have a problem I was funded by NSFAS 2016 then I dropped out on July ,now I applied another course,so can I re_apply ? Hy I was funded by NSFAS 2016 then I dropped out on July now I applied another course so can I re-apply ? Hi my current application status says “awaiting supporting documentation” . I uploaded the documents , but i am unable to upload my father’s,he does not live with us and i do not have details of him, yet him and my mother are married. When i submit the documents, there is an error message. Hi, i have a problem with my nsfas account. I forgot my username, password and I’m no longer using the contact details i gave to nsfas. Hi I am currently in grade 11 when can Istart applying for NSFAS? My status says awaiting supporting documents while i provided all the missing documents they said i must sent , what must i do now? Hey, I did register last year so the thing is I forgot my password word.The numbers that I used to register got lost and now I’m using new numbers, so what must I do know? Im currently experiencing this issue, please can you assist me? hi Kath, I applied and got a respond that my id n consent form form are not clear I have done new one but when I login into my account it doesn’t give me an option to upload documents. how do I go on about it? Hello, will NSFAS still fund me if I change the university I’m currently studying at? I APPLIED FOR NSFAS USING THE WRONG YEAR 2018 INSTEAD OF 2019 ,SO EVERYTIME I TRY TO REGISTER IT TELLS ME MY I.D NUMBER HAS REGISTERED ALREADY . .WHAT SHOULD I DO ? Hi there. I have completed my first year but am considering changing my degree and moving over to a new faculty, thus implying that I would be doing first year again but in a different degree programme. Should I follow through with this, would I have to reapply to NSFAS? Hi, Unfortunately NSFAS will not fund you for a change in degree. If you really want to change then you would need to find a bursary. There are still a few around for next year but most have closed already. If you whatsapp me on 061 390 4470 and tell me more about your plans I can see if there is any bursary still around for you. Otherwise you need to stick at what you are doing. I have lost my phone and i dont remember my email password,i have a new number now. How can i check my nsfas status. Hi. I applied today and now my application has been rejected and the reason for that is DHA error. What does that mean and will it be possible for me to fix it somehow? I also got the same message. I have been checking it is still the same status. What should do? My mother’s pension statement is a few months too old. I realized this after I’d uploaded it. How do I rectify this? Hi if my both parents are dead do I have fill in the concern form? I have applied for funding through NSFAS and I just checked the status of my application, it is saying my application has been rejected and the Reject Reason: DHA Error. What does it mean? Hi Kath, What does DHA error mean on the NSFAS status? Kath, my NSFAS application was approved and the status is ‘successfully funded’.I received an email saying I’d only sign my NBA once I’d registered to a University. the thing is, I registered to a university different to the one I’d written on my application, so I wonder wether that will affect my funding in any way. If I was doing a degree and left (dropped out) during my 3rd year having withdrawn and not failed any courses, but then in the next year I apply and get accepted at another tertiary institution for a different program, will I still be funded by Nsfas? And will I be funded for the whole diploma/degree or only remaining years I had left? Yes but what if you don’t complete the one degree. You drop out and withdraw without having finished it. Then plan on doing a new course, will you be able to apply for nsfas? 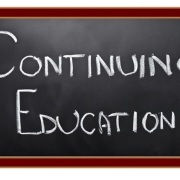 No, you can’t get funding for a second course even if you didn’t finish the first course. hi, I applied for nsfas and the response came back to its unsuccessful rejected reason:DHA ERROR. kindly explain what does it mean?